Are you contemplating a thru-hike of the Appalachian Trail, but are afraid to really commit because you’re not sure you’ve got what it takes? Have you already committed to a thru-hike but are now doubting your “ability”? Have you read Appalachian Trials and would like the added insurance of the author’s emotional support before, during, and/or after your hike? If you answered yes to any of the above questions, you may be interested in scheduling an Appalachian Trail Coaching session with me, Zach Davis, the author of Appalachian Trials. Due to the surge of messages I’ve received over the last couple of years, my ability to answer your questions with the depth that you deserve has been diminished. Somewhere, in an alternate universe, there are 31 hours in a day, Zach can function on 35 minutes of sleep, and he is able to help everyone to the best of his ability. Unfortunately, here on earth, we play by different rules. Appalachian Trail Coaching is your chance to get my full and undivided attention, advice, and support. Well first and foremost, I successfully thru-hiked the Appalachian Trail in 2011. I have first-hand experience with what it takes to backpack the full ~2,200 miles between Georgia and Maine. Not only am a thru-hiker, but the AT was my first backpacking trip. Of any distance. Ever. I went into the Trail with zero backpacking experience and had only moderate physical conditioning. I knew next to nothing about my gear; I had never built a fire, used my camp stove, or tossed a bear bag. Yet despite these camping incompetencies I was able to join the 20% of hikers who successfully make it the whole way because I took a gamble. I bet that thru-hiking the Appalachian Trail was a mental challenge above all else. I trained my brain with a few simple exercises in the months leading up to my departure. The payoff was immense. Not only did I complete my goal, I was able to thoroughly enjoy my experience- even in the face of contracting West Nile virus half way through my journey. I have since shared these mental exercises with aspiring thru-hikers in my first book Appalachian Trials: A Psychological and Emotional Guide to Thru-Hike the Appalachian Trail. I’ve received countless emails from successful thru-hikers saying that the book made the all the difference in their reaching Katahdin. Appalachian Trail Coaching is for those who want this guidance and more. Why do people hire personal trainers? The gym provides you all the tools to reach your fitness goals, but the trainer is the one who holds you accountable to these goals. Similarly, Appalachian Trials is the gym, Appalachian Trail Coaching is your personal trainer, and like a trainer, I will simultaneously be your best friend and your worst enemy. We won’t stop until you’ve achieved your goal: thru-hiking the Appalachian Trail. Eighty percent of hikers dedicate thousands of dollars and months (if not years) to preparing for their thru-hike, only to quit! Compared to the enormous expenses thru-hiking requires- quitting your job, purchasing thousands of dollars of gear and supplies, transportation to and from the Trail- not to mention the emotional investment of uprooting your life to make this adventure possible- the cost of Appalachian Trail Coaching is trivial. If you thrive with a hands-on approach. You will get the answers to your personal questions, guidance on how to effectively create your “lists” (if you’ve read the book, you know what this is), and additional explanation of everything covered in the book and what I’ve learned since overseeing the dozens of hikers on this site and beyond. If you aren’t the strongest visual learner (like myself). For those who learn better by doing and/or listening, I will work with you to ensure you properly assimilate all of the tactics outlined in the book. If you crave support in addition to the advice. I will be on your team pulling for you each of the five million steps along the way. If you have miscellaneous questions above and beyond what’s covered in Appalachian Trials. At this point I’ve seen every question in the book (figuratively speaking). And if I don’t have a good answer for you, I will find it. If you’re looking for a more detailed portrayal of what life is like on the Trail, including the most common pitfalls that other hikers fall into. Perhaps you’re on the Trail and need some emergency assistance at a pivotal time in your journey (and in your life)- I will be your lifeline. Or maybe you recently completed a thru-hike and would benefit from some guidance with your next step(s)- I will advise. Whatever your concern, here’s my guarantee to you: If you’re not completely happy with your coaching experience, you will receive a 100% refund. Simple as that, no questions asked. 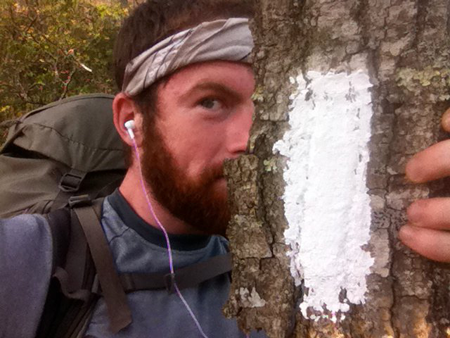 “Zach was super helpful preparing me for my AT Thru-hike. He helped me with figuring out the right gear I’ll need to buy and where to get it, and answered all of my questions that I haven’t been able to find in any books I’ve read. I definitely feel much less stressed and more prepared for the hike.” – Drew B. 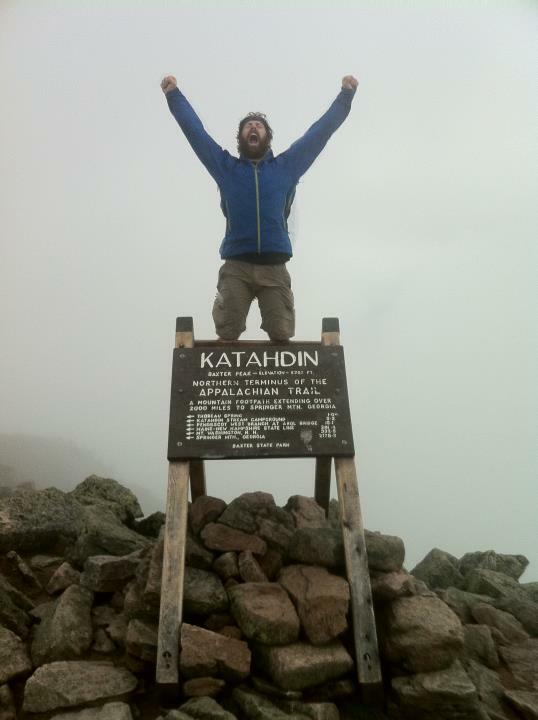 “Zach is a fantastic resource and support person for anyone considering hiking the Appalachian Trail. In our hour long session Zach offered me the right mix of realistic advice, encouragement and resources to help me feel more prepared and excited for this awesome adventure. Once you’ve worked with Zach you are part of his team and he takes personal interest in your success on the AT. Can’t imagine a better person in my corner.” – Laura H.